This afternoon, we ran a bunch of errands, including our Costco run. I had hoped they might still have the wild salmon we picked up last weekend...but they didn't have any today. When we got home, I decided to cook the boneless chicken breasts I had in the fridge. I poached them and let them cool off and then diced a couple of them and put them in the fridge to chill for a couple of hours so I could put together a quick chicken salad for dinner tonight. 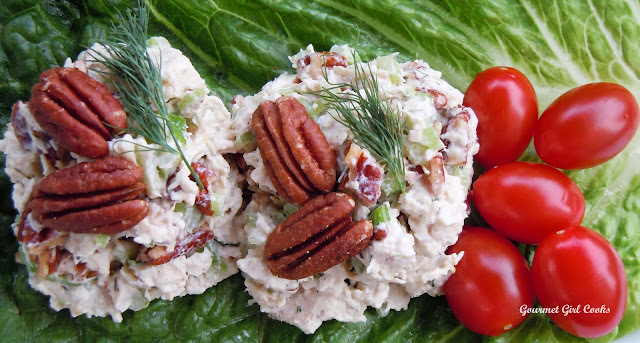 I decided to add some toasted pecans to the chicken salad to add a bit of crunch and flavor. I lightly toasted a big handful of pecans at 325 degrees until they were nice and toasty. While the pecans were toasting, I made a little dressing for it by mixing some mayonnaise, sour cream, chopped fresh dill, Celtic sea salt and freshly ground black pepper, along with a little bit of fresh lemon zest to give it a bright, fresh flavor. I finely diced 2 stalks of celery and thinly sliced some green onions and then chopped the toasted pecans after they cooled off. 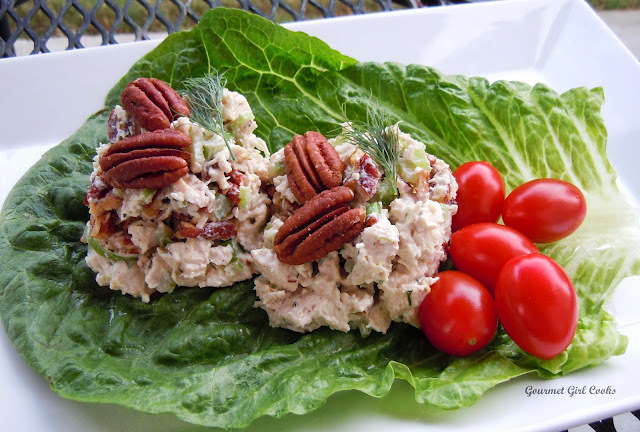 I mixed everything together and served it on a large romaine lettuce leaf so it could be folded over and picked up to use as a wrap to eat the chicken salad. It was so simple, cool and refreshing. I snapped a few photos for you to see below. Enjoy! 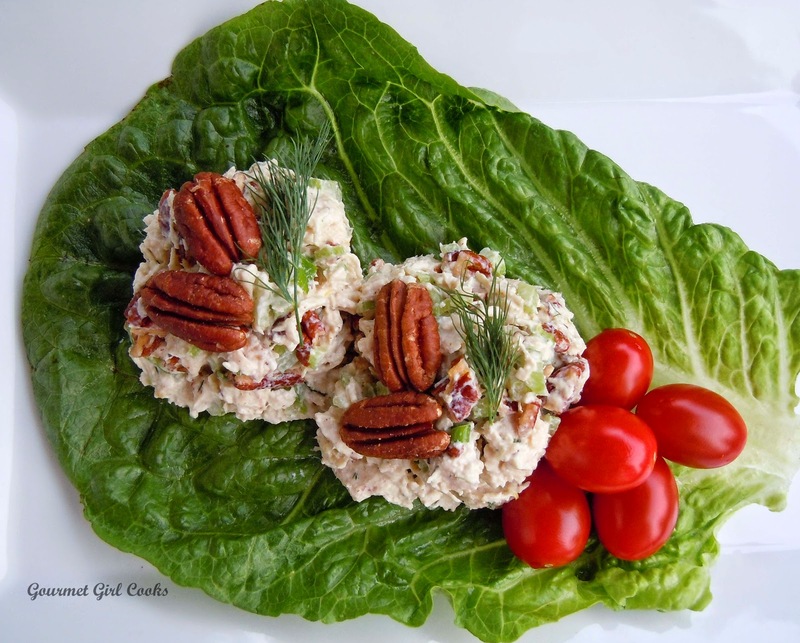 I love the idea of using the lettuce as a wrap for your great-looking chicken salad! Lovely recipe! What type of mayo do you like to use? This looks so delicious, & the way it's prepared this, would make great finger food. Perhaps even with lady fingers in the side. I really like the salsa & sour cream combo, too. Freshly made mayo without all the additives would be wonderful, and I'm half-way interested in making my own, but so far the thought of raw eggs seems a little creepy. I've read articles galore, both pro and con. I wonder if using Egg Beaters would work. I don't use mayo that much either, so in the meantime, I think I'll pick up a small jar of Hellman's. Thanks for the suggestion.